The spring 2019 Sprockids course encourages cyclists aged 5 to 13 (currently in SK to Grade 7) to experience success in a group setting by learning four skill areas of cycling safety, etiquette, riding skills, and bicycle maintenance. Sprockids is suitable for cyclists at any riding skill level on a two-wheeled bicycle (no training wheels or balance bikes). Interested in signing up for Sprockids? Review the SCC Sprockids Spring 2019 Technical Package to ensure this program is suitable for your child and family and the Program Details to see the riding dates and locations, Each rider must obtain a Sault Cycling Club membership, review the Code of Ethics, undergo a bike inspection, wear a properly fitted helmet, and agree to the terms in the photography and athlete waivers. This is a group-based activity with volunteer coaches; we are unable to provide one-on-one supervision, specific medical support, or guarantee an allergen-free environment. 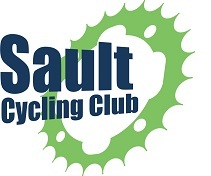 Each rider’s registration fee includes a t-shirt (see Program Details for shirt sizes) and a coupon to pick up a youth bug jacket from Joe’s Sports and Surplus (40 Queen St. East). These items will be handed out at the first session. A big thanks to Joe’s Sports and Surplus for supporting our program by donating bug jackets! If your rider is unable to participate in this session of Sprockids, but is keen to take part in the future, express your interest on our Wait List registration page. Looking forward to a fun season of biking!